Bronx-based author and community leader Sulma Arzu-Brown and NYU professor Dr. Shatima Jones will take part in a panel discussion following the film. 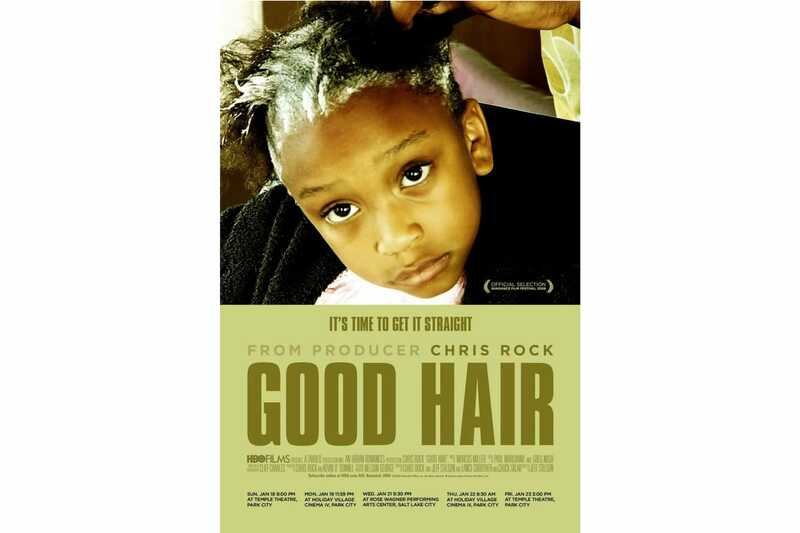 In this documentary Chris Rock visits beauty salons and hairstyling battles, scientific laboratories and Indian temples to explore the way hairstyles impact the activities, pocketbooks, sexual relationships, and self-esteem of the black community. Prompted by Rock's daughter approaching him and asking, "Daddy, how come I don't have good hair? ", Good Hair shows Rock engaging in frank, funny conversations with hair-care professionals, beauty shop, and barbershop patrons, and celebrities including Dr. Maya Angelou and others - all while he struggles with the task of figuring out how to respond to his daughter's question. SULMA ARZU-BROWN is community leader with an extensive resume, Sulma Arzu-Brown has authored a children’s book that centers on positive awareness for young readers. "Bad Hair Does Not Exist!" a bilingual book that encourages young Black, Afro-Latino, and multi-racial girls to see themselves, and their hair, as beautiful. Sulma Arzu-Brown, is a Garifuna woman and Afro-Latino from Honduras, was inspired to write the book after her three-year-old daughter's babysitter used the colloquial term "pelo malo," which is a Spanish term for "bad hair" to describe little Bella's curly textured hair. Arzu-Brown has worked as a job developer for BronxWorks helping formerly incarcerated fathers find employment opportunities. Arzu-Brown now serves as the New York City Hispanic Chamber of Commerce’s director of operations and is tasked with providing quality networking events, seminars, and fundraisers which seek to establish long lasting partnerships with members in support of Hispanic businesses and the community NYCHCC serves. In addition to her work with NYCHCC, Arzu-Brown is a Hunts Point Community Advisory Board member and co-owner of the Boogie Down Grind Cafe. SHATIMA J. JONES is an Assistant Professor Faculty Fellow in the Department of Social and Cultural Analysis and the Department of Sociology. She earned her doctorate in sociology at Rutgers University, where she also received her master’s degree; and she holds a BA in sociology from Hunter College. Shatima is interested in the intersection of race, space, gender, and culture. Her dissertation, “Performing Race and Shaping Community in the Black Barbershop” focuses on how black people interpret and perform their racial identity, the processes by which they create community based on these understandings, and the significance of place and space in shaping these sentiments. The bulk of Shatima’s research employs ethnographic methods to uncover what black people think constitutes an “authentic” racial identity, how they signal this to others in everyday interaction, and how racially exclusive places shape understandings and performances of race. At NYU, Shatima is writing a book manuscript based on her dissertation research. She is also embarking on a new ethnographic project focusing on women’s hair salons in order to explore gender differences in racial performance. This screening is held in conjunction with the BDC's current exhibition "From Mobutu to Beyonce" by Émilie Régnier, which explores the ongoing cultural conversation between Africa and the West. On view until June 4, 2017.